For the ultimate protection online, you need both a password manager and high-quality VPN. This duo ensures you top-grade protection, securely storing all your logins and allowing you to browse anonymously online. 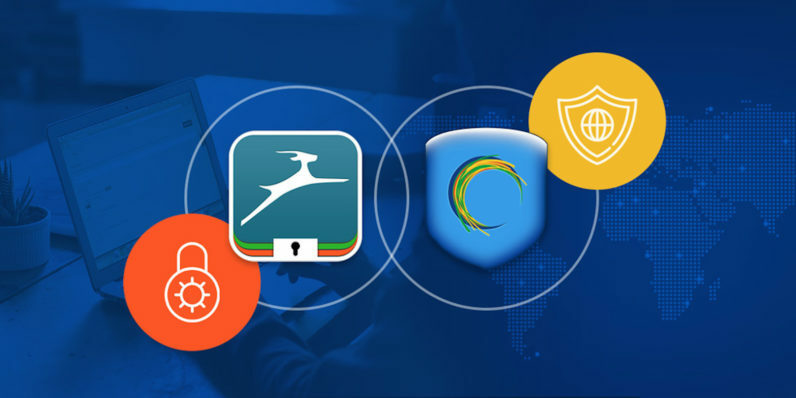 That’s what you’ll get with the Dashlane Premium and Hotspot Shield Elite VPN: Three-Year Subscription Bundle. For a limited time, this package is available for over 60 percent off from TNW Deals. Forget storing passwords on a random document or your browser: that’s an open invite for hackers to go to town on your private data. Dashlane offers a better alternative, allowing you to manage all your passwords via a secure interface. This handy program scans your passwords for strength and helps you generate new, stronger ones when necessary. It’ll also sync all your account information across all your devices, give designated contacts access to your passwords in an emergency, and much more. And at 400 million downloads and counting, it’s clear that Hotspot Shield Elite VPN is one of the best privacy solutions on the market. This easy-to-install VPN routes your online activity through remote, private servers located around the world, and does so without slowing down browsing speeds. Hotspot’s advanced encryption keeps your web activity private, and it immediately alerts you when you visiting any malicious sites listed on AnchorFree’s database. And as an added bonus, you’ll be able to bypass geo-restrictions on streaming services like Netflix and HBO — meaning you’ll get your shows in no matter where you are. Get secure with a 1-2 punch of password protection and browsing anonymity, thanks to this Dashlane and Hotspot three-year subscription combo. This power duo is now 61 percent off from TNW Deals.